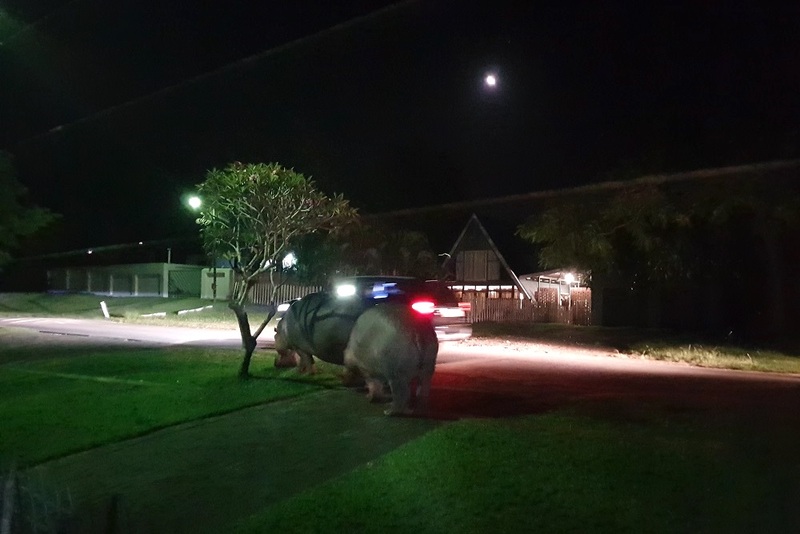 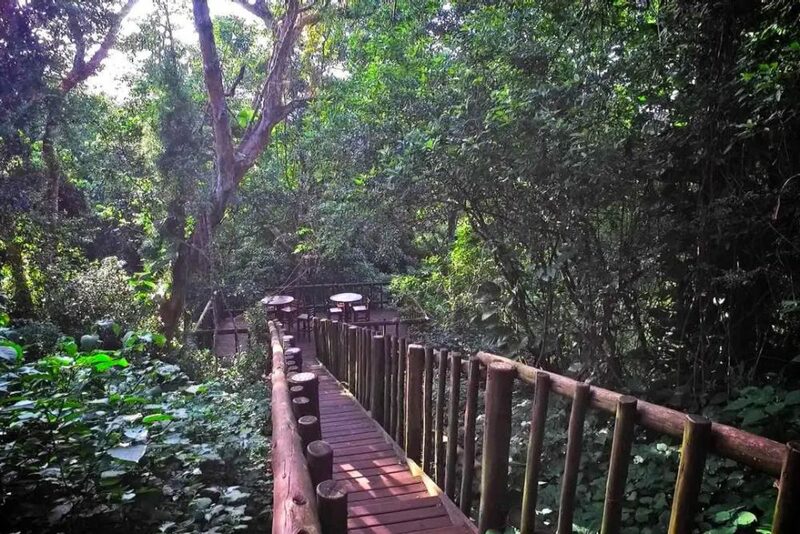 4 star luxury lodge with panoramic views of the Indian ocean, Mapelane, the Umfolozi River mouth and the famous Lake St Lucia. 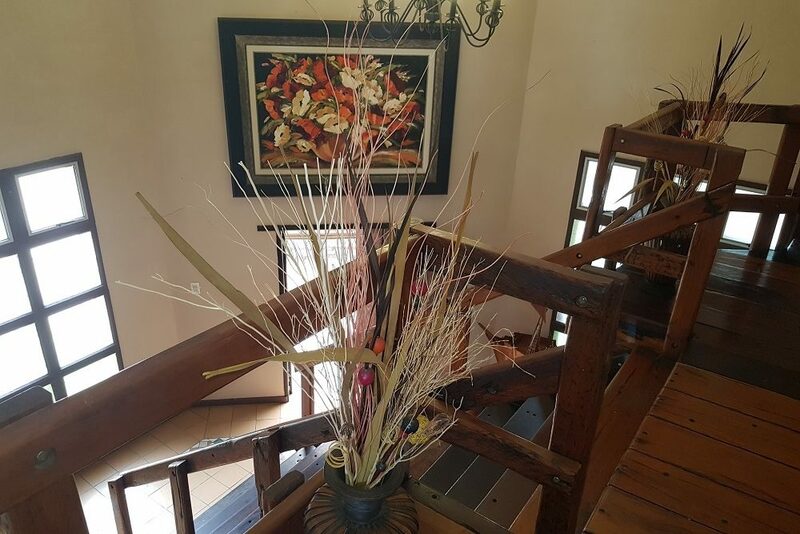 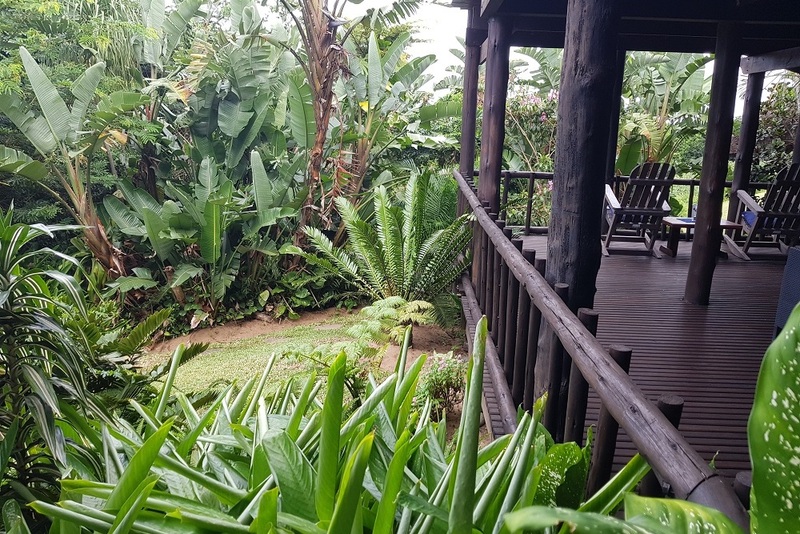 Relax in the pool on the deck, enter the tranquil garden with a walkway and deck deep into the wetland itself, enjoy a sundowner on the upper deck or simply experience true tranquility whilst enjoying spectacular views! 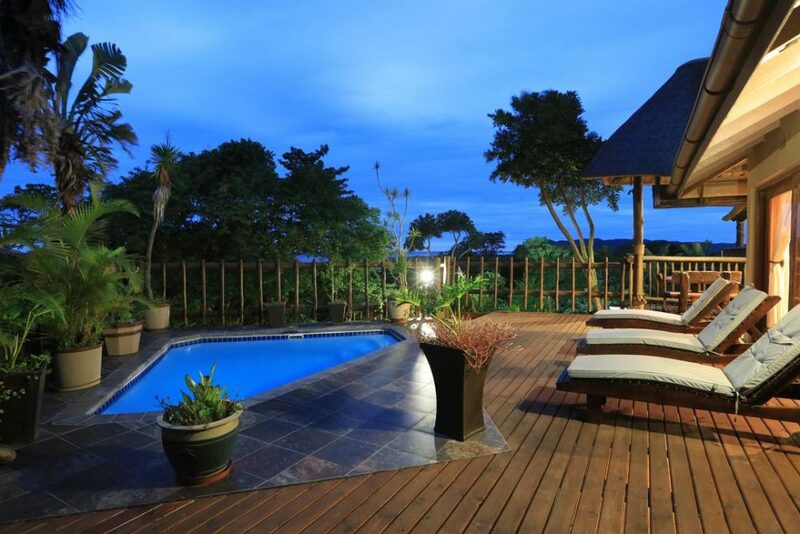 This deck has a built-in braai with rotiserie that guests are most welcome to use. 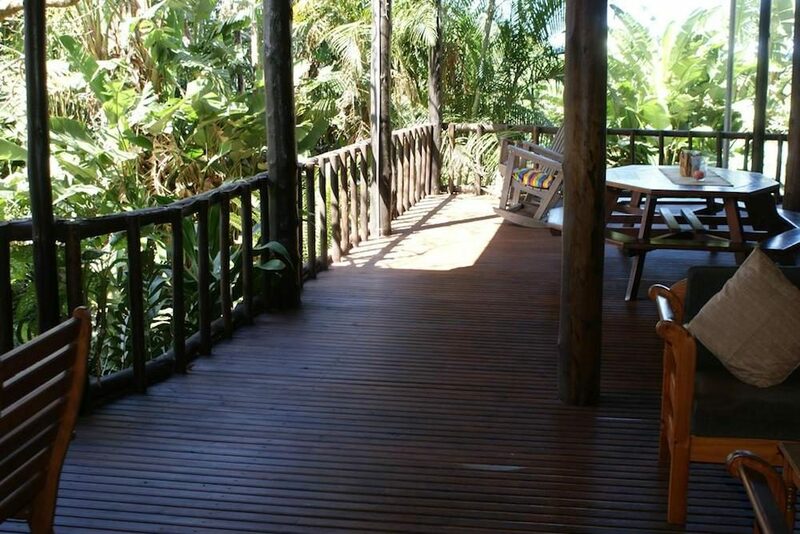 From this deck Ndiza’s guests can spot the whales on their way to the warmer Mosambican waters. 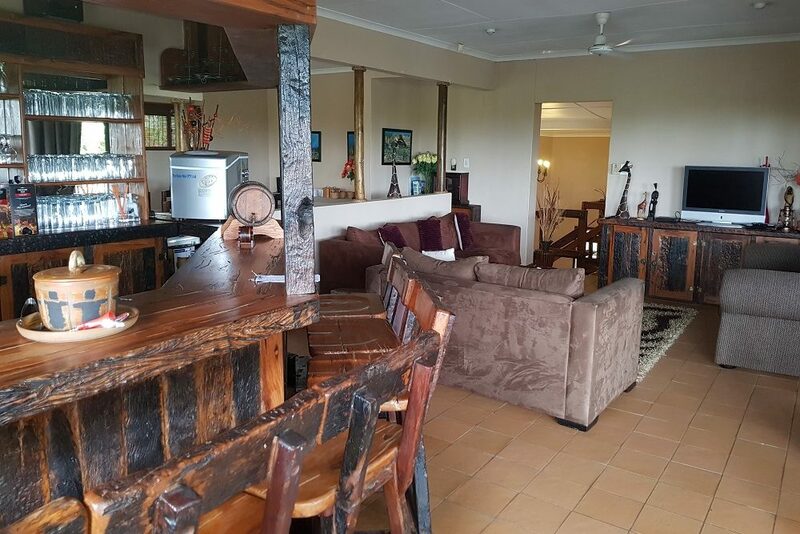 The lodge has a comfy lounge and fully stocked honesty bar available for guests to enjoy. 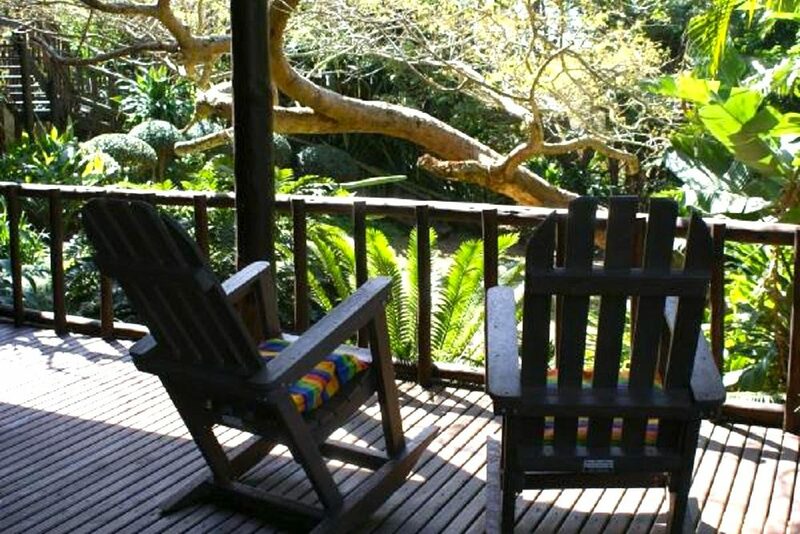 Breakfast (Yoghurt, muesli, cereals, fresh fruit, toast, preserves and honey, muffins, bacon, sausages, mushrooms, eggs made to order, juice, coffee and tea) is included in the lodge accommodation price, and served on the raised wooden deck next to the second pool. 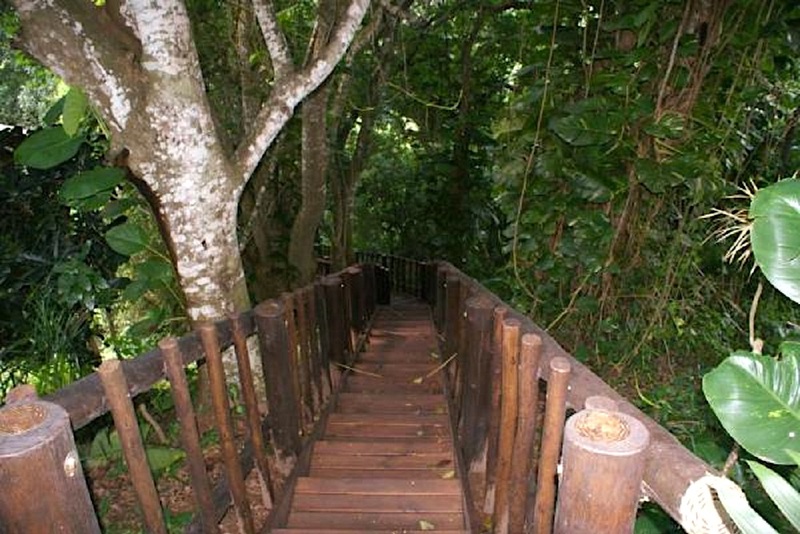 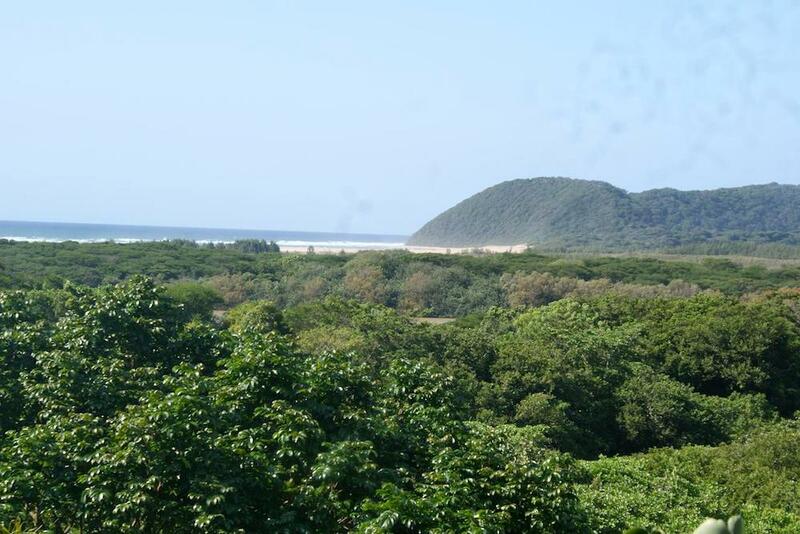 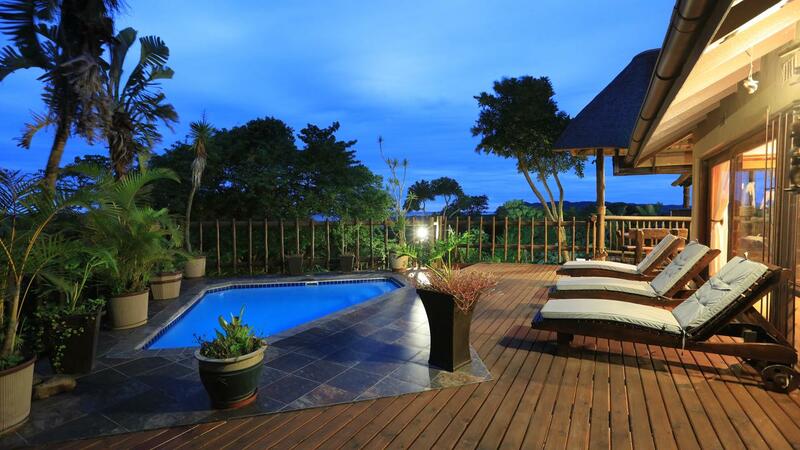 From here you will have a stunning view of Mapelane, the Umfolozi River, the ocean and part of the estuary. 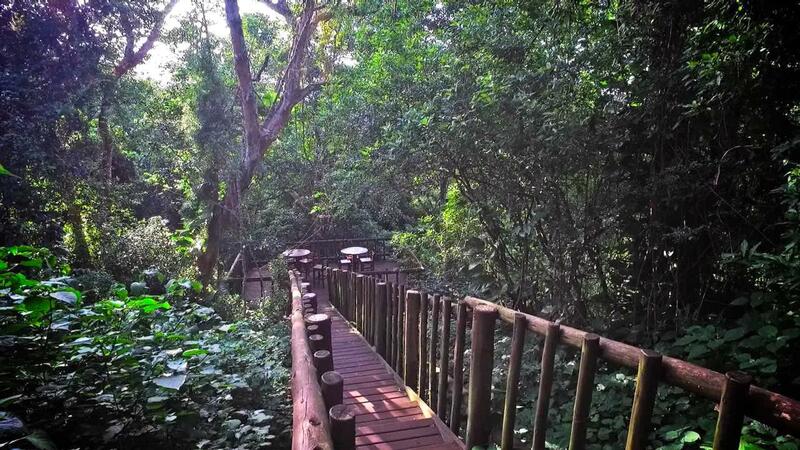 The best spot to relax with a sundowner and marvel in our beautiful sunsets! 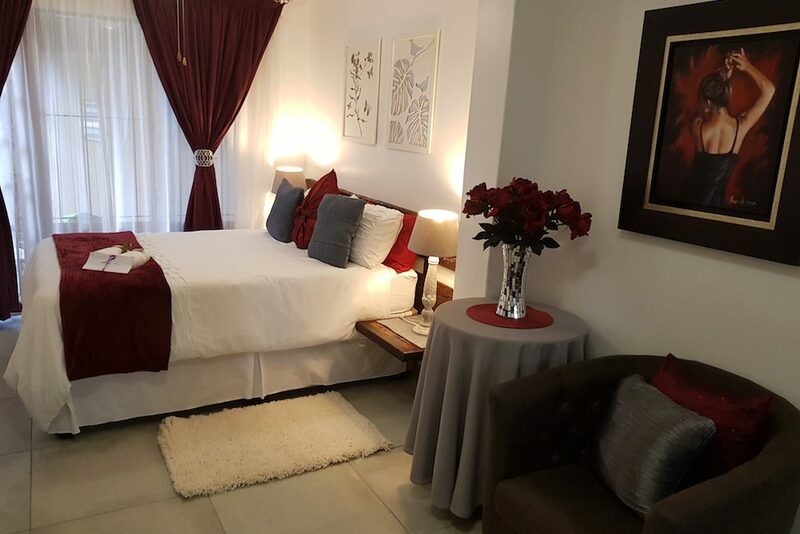 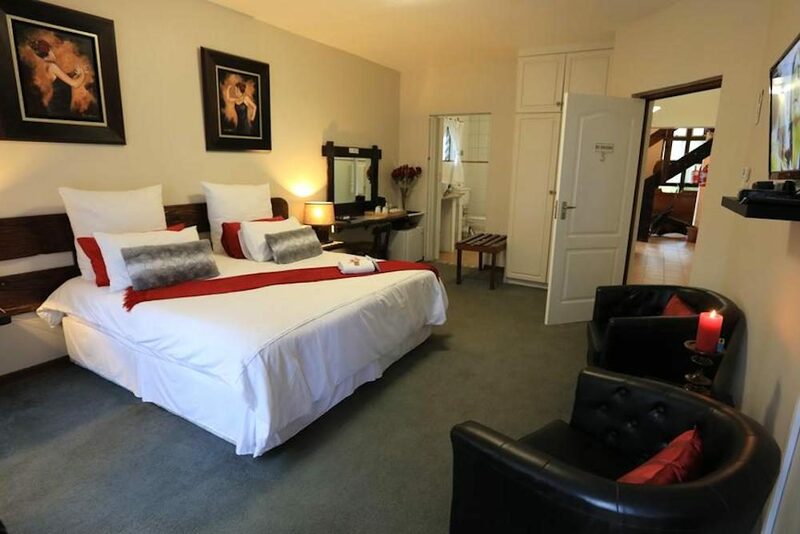 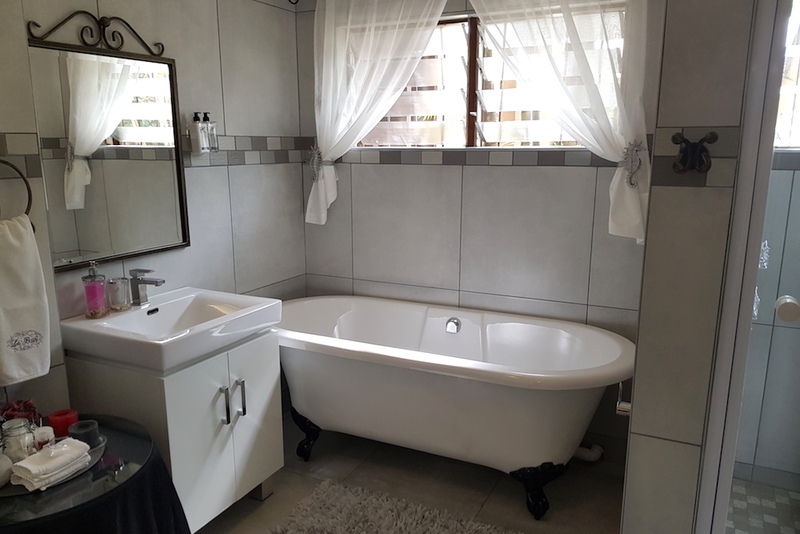 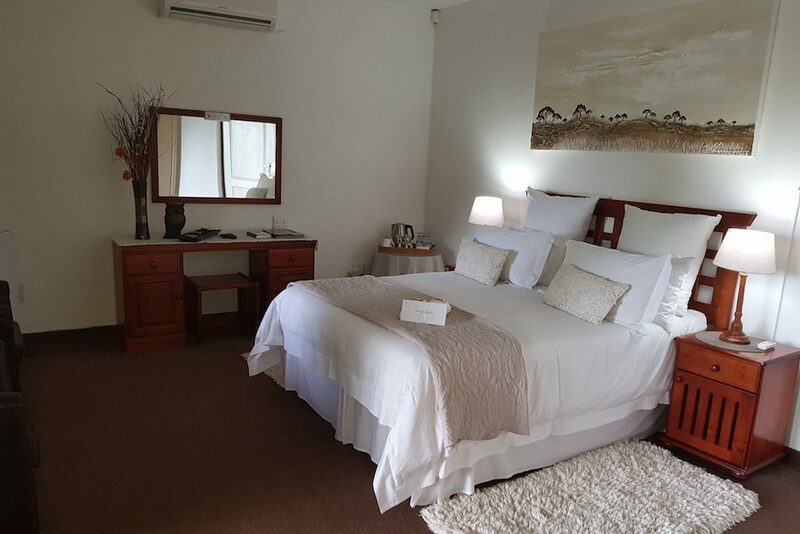 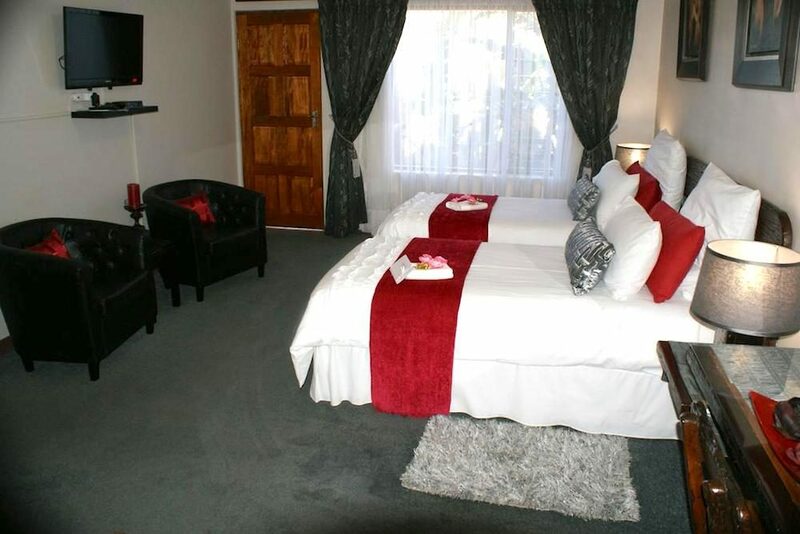 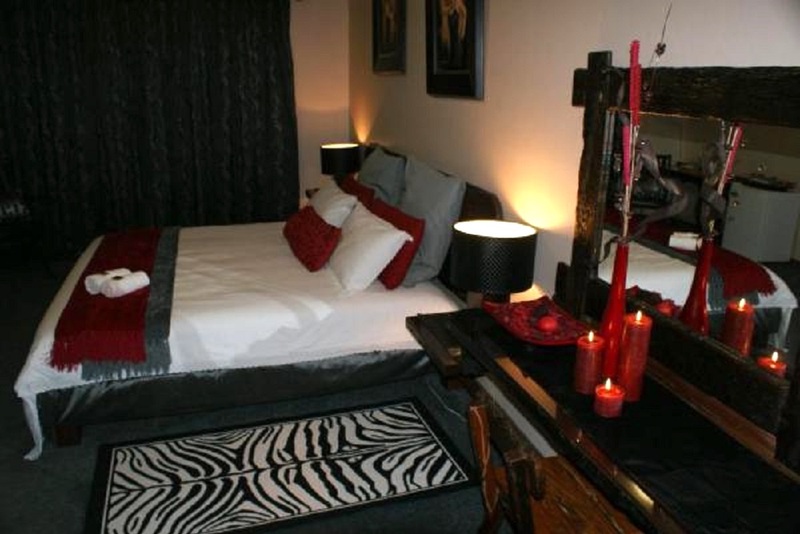 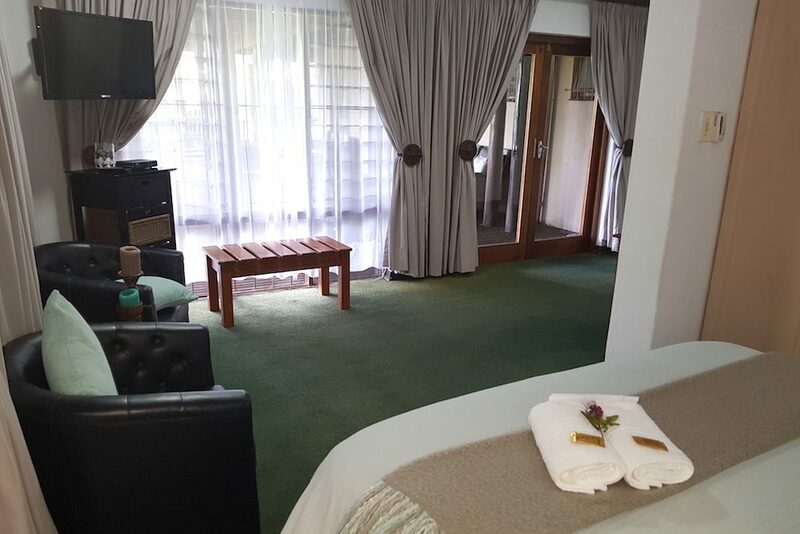 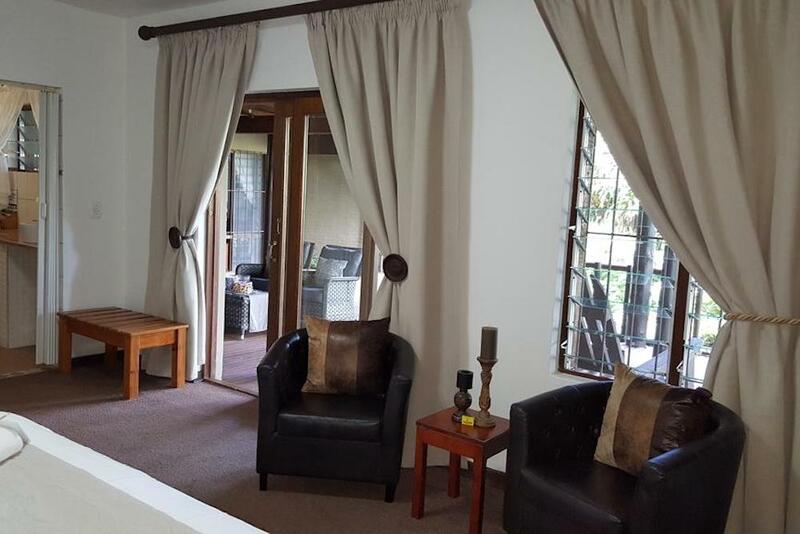 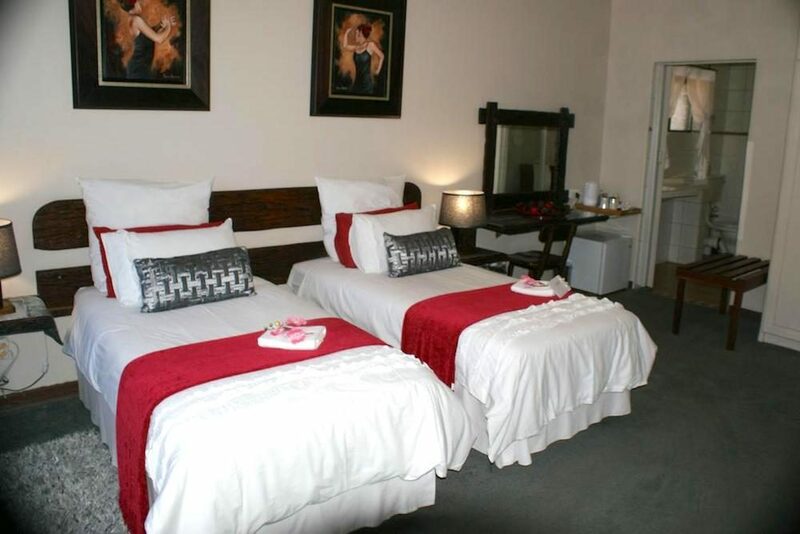 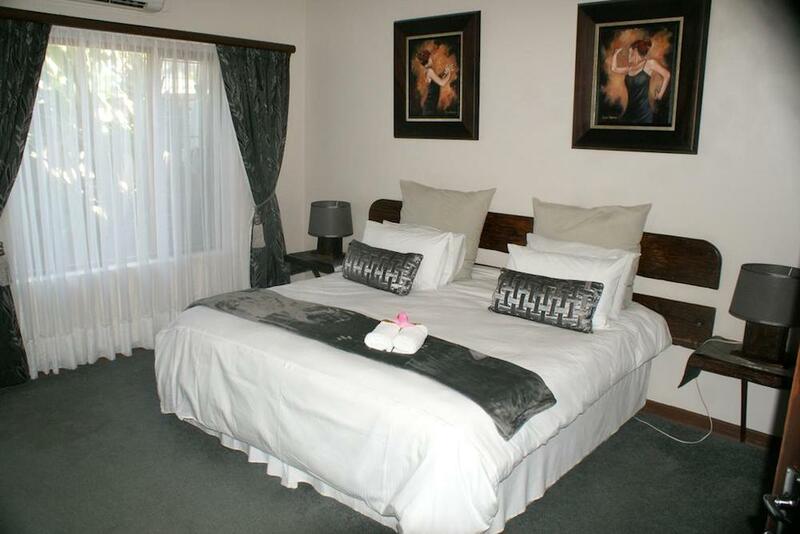 The spacious bedrooms are air conditioned, queen size bed, en-suite, equipped with a fridge and mini bar, snacks, TV with DSTV and complimentary tea and coffee making facilities. 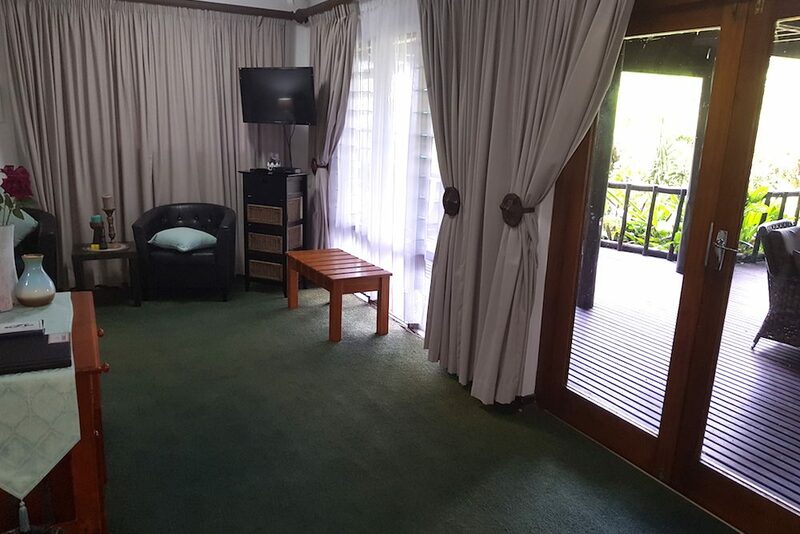 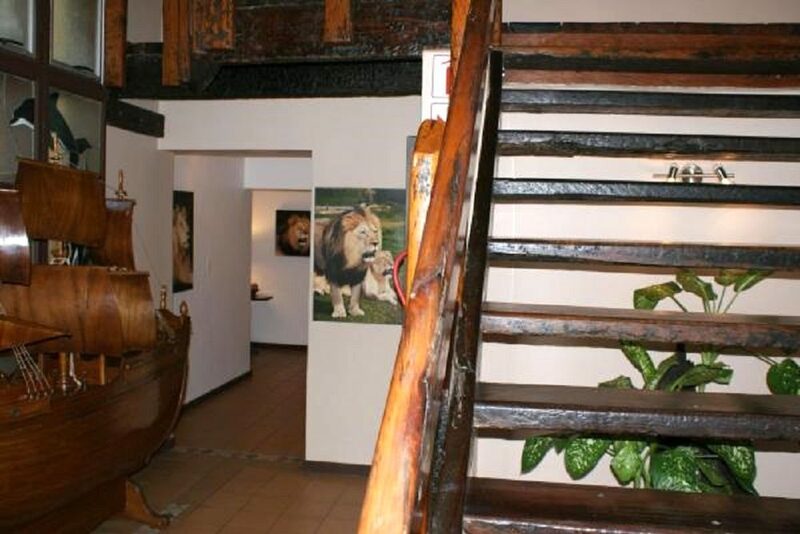 Double rooms have direct access to a wooden deck with furniture, overlooking the tropical garden.